Myrtle Beach Fishing is FUN for the whole family! Myrtle Beach Fishing ChartersCome fish with one of the most successful Captains in the business.Myrtle Beach is one of the Carolina?s most popular vacation spots forfishing and golf. Whether you?re a beginner or an expert, fishing inMyrtle Beach is something that you can enjoy with your whole family.Nothing beats getting up with the sun in the morning and heading out fora day of backwater, inshore, offshore, gulf stream and deep seafishing.Myrtle Beach is located on the beautiful coast of South Carolina,though many fishing charters are offered in both North and SouthCarolina. Myrtle Beach is most famous for its deep sea fishing andinshore fishing. The estuaries, creeks, and intracoastal waterway allflows in to the Atlantic Ocean. Making Myrtle Beach a Premier FishingCharter location. Deep Sea Fishing Myrtle Beach.Myrtle Beach Fishing Charters offers deep sea fishing for Sharks,Vermillion Snapper, Trigger Fish, Grunt, Amber Jacks, and Black SeaBass. Offshore trolling for Wahoo, King Mackerel, Mahi, Cobia, Sailfishand Marlin. If you?re not sure about going deep sea fishing in theAtlantic Ocean. 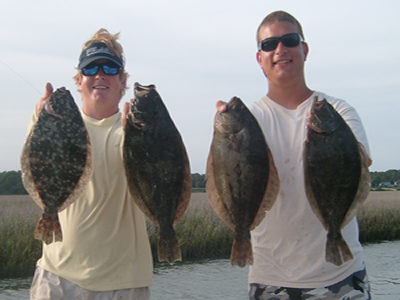 We have the premier inshore fishing in our estuaries,creeks, and intracoastal waterway for Flounder, Redfish, Trout, BlackDrum, Sheepshead, Bluefish and Spanish Mackerel. Myrtle Beach FishingCharters.Sightseeing trips are available and others provide a more festiveatmosphere for a boat ride to dinner or just want to see the area bywater.. Our cruises also have fun and interesting information to educateyou about the region?s wildlife, scenic wonders, history, and legends.Don?t forget your camera to take lots of photos!Feedin? Frenzy Charters Is The Premier Myrtle Beach Fishing Chartercovering Myrtle Beach, North Myrtle Beach, Cherry Grove, Little River,Sunset Beach, Ocean Isle Beach, and Holden Beach. Call us to book yourFishing Charter today, as we are booking up fast. Call Captain Keith at843-907-0064 or book your charter on-line at Myrtle Beach Fishing Charters save your Fishing trip with Feedin Frenzy Charters?